Prof. Lin is currently a Field Group Senior Lecturer in the Department of Colour and Polymer Chemistry at The University of Leeds, UK, the world-leading institute in colorants, printing and coatings science and technology. Dr. Lin is also an Honorary Professor in the Institute of Chemical Engineering at Heilongjiang University, and in Wuhan University of Science and Technology, China. Dr. Lin is one of the co-founders and the Technical Director of Lumenia Technology Ltd. (Cambridge), a company specialised in the development and application of novel colorants and coloration processes. 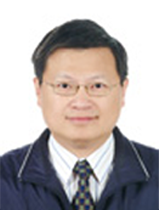 Dr. Lin is a Chartered Chemist, a Fellow of the Institute of Printing, a Fellow of the Technology of Surface Coating and a key consultant to several colorant, printing and coating related companies. 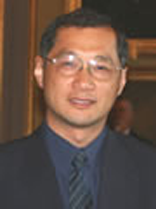 Dr. Lin’s research interests cover non-impact printing, conventional printing, thermochromism, photochromism, organic pigments, security printing/labelling, surface coatings, biosensor, membrane separation, polymeric materials, plastic recycling, statistical experimental design and data analysis, computer-aided process modelling and computer-aided formulation optimisation. Director of Research at CNRS (Centre National of Research Scientific), Bruno Ameduri leads the “Fluoropolymers and Energy” team at the Laboratory of Macromolecular Chemistry of ENSCM (National Graduate School of Chemistry - Montpellier). His main research interests are the synthesis and the characterisations of fluorinated monomers (including cure site monomers and telechelics), telomers and copolymers for various applications such as surfactants, elastomers, and fuel cell membranes. Co-author of one book, 16 reviews or chapters of books, more than 120 peer reviewed publications and co-inventor of 20 patents, he is also a member of the American and French Chemical Societies and is a member of the Editorial Board of the Journal of Fluorine Chemistry and European Polymer Journal. Outside research, Bruno is a member of the “Rire” Association and visits, dressed in clown, sick children in hospitals of Montpellier. Dr. Jamil Baghdachi is a Professor of Polymers and Coatings and the Director of Coatings Research Institute at the Eastern Michigan University. He joined the Coatings Research Institute in 1997, after spending 22 years at various technical and managerial capacities at BASF Corporation, DuPont, and ARCO Chemical Company. He is the author/editor of 4 books in related areas and has published over 122 papers including six book chapters and conference proceedings and holds 44 U.S. patents. His current research interests include the research and development in smart and stimuli responsive, self-assembling, bioactive polymers, nanocomposites, organic/inorganic hybrids, functional macromolecules, adhesion, and corrosion science and technology. Prof. Xuduo Bai studied Polymer Chemistry at Heilongjiang University and received his BSc. in 1977. He obtained his MSc. from Wuhan University and PhD. from Harbin Institute of Technology (HIT). He has been a visiting scholar at the University of Alberta in Canada and the University of Leeds in England. Currently working with Asian Paints Ltd, India as General Manager – Technology in their corporate research centre in Mumbai, Dr. Mallik is responsible for leading the development activities of industrial coatings group. 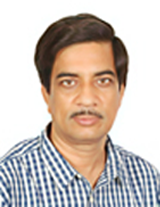 He obtained his master degree in Inorganic Chemistry from Kolkata University followed by M.Phil and Ph.D degrees from Jadavpur University, Kolkata.He has associated with surface coatings research and development for the past 32 years and possessed in-depth experience of developing product formulations in different fields of coatings, namely automotive, light industrial, heavy duty industrial, powder coatings, architectural coatings and so on. Moreover, he has extensive expertise in leading technology & research management in surface coatings, new product commercialisation, scouting new technology opportunities through technology collaboration, networking with academia & professional bodies, new business development, etc. Dr. Mallik has published several papers, contributed book chapter, delivered many lectures at national and international symposium and chaired a number of technical sessions. He is currently acting as Chairman – technical committee of the Society for Protective Coatings (SSPC) – India and Indian Paints Association (IPA) – Western region, member of Bureau of Indian Standard (BIS), National Association of Corrosion Engineers (NACE) and SSPC. He is also the recipient of SSPC Berger award for excellence in coatings research and promotion from industries. 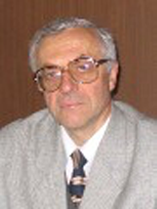 Vladimir B. Manerov, PhD, D.Sc. (Chemical Engineering) graduated in coatings technology from the Yaroslavl Technical University in 1967. He is now Deputy - Technical Director for new technology and equipment of the paint manufacturer "Lakokraska" in Yaroslavl. 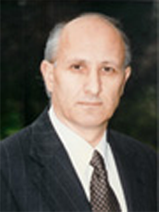 He was appointed deputy-director of the Coatings Research Institute in Yaroslavl in 1976, and has been General Director since 1991. 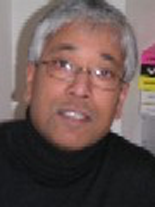 Dr. Swaraj Paul took his MSc degree from Agra University, India and PhD from Royal Institute of Technology, Stockholm. He received his DSc (Docent) degree from Royal Institute in 1979. He is now running his own Research & Development Company, PP Polymer AB. He has published several scientific papers, authored several books and owns a few patents. Dr. Shaw-Ji Shiau is a AP Application Development Leader & Taiwan Coatings Technical Marketing Manager of DuPont Titanium Technologies. He obtained his Ph.D in Chemistry, University of Massachusetts at Amherst, USA, in 1989. 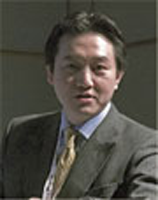 He joined DuPont Taiwan, White Pigments & Minerals Product Division and responsible for technical services since then. 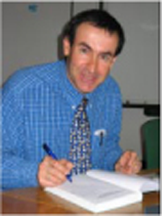 He has 24 years’ experience in TiO2 application in coatings, plastics, papers and other specialties. He actively participated in TiO2-related technology development, including new product design, slurry utilization optimization, technology offering package development and implementation. Studied Chemistry and Coatings Technology in Krefeld, Germany and finished her studies in 1990. She joined Tego Chemie Service (today Evonik Industries) and started working in the technical service department. Since then she has been working on coating and printing ink additives, cobinders and binders in various functions. She was responsible for different product groups and applications. She is author of numerous publications. 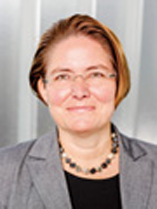 Today, she is Vice President Global Applied Technology, heading the global Applied Technology Labs for Tego products. 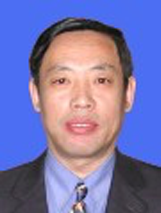 Prof. Li Wang currently holds a number of positions including Professor and Doctoral Supervisor at Zhejiang University, Member of the Committee of the Magnetic Resonance Spectroscopy with the Chinese Physical Society, and Member of the Editorial Board of the Chinese Journal of Magnetic Resonance. He was also a Visiting Professor at Yale University and at the University of Washington, and a researcher at the Czech Academy of Science. His research interests largely focus on the synthesis of polymers and functional polymers, preparation and characterisation of nano-materials. He manages more than 30 research programmes supported by the Natural Science Foundation of China, the Ministry of Science and Technology, the International Cooperative Programmes, Multinational Corporation and domestic enterprises. He has been given invited lectures in U.S., France, Italy, Germany, Canada, and Czech Republic.